The Cascade Conference Playoffs consist of 3 teams in a postseason tournament, and Oregon Institute of Technology has already secured a spot, by way of winning the regular season crown, leaving 4 teams to battle Saturday to take the final spots. 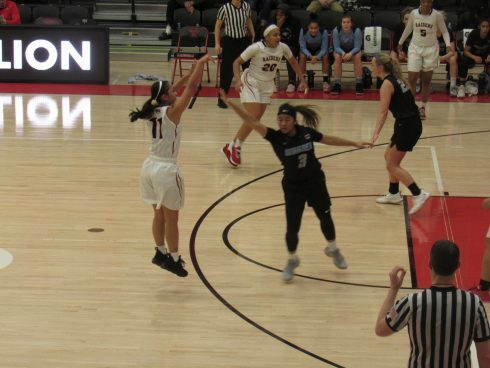 Southern Oregon University versus Corban University’s in Salem and Concordia versus College of Idaho in Caldwell, Idaho, would decide the participants and the teams left out, as all involved were in a statistical tie for the remaining spots. 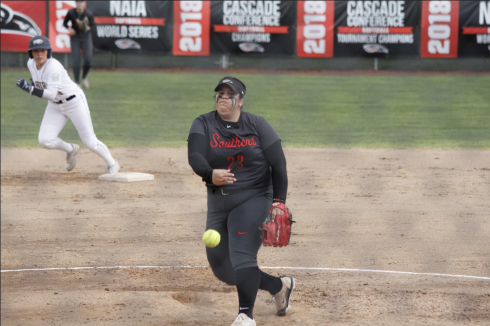 Concordia found a sweep in Idaho, but SOU would be in a fight they showed up unprepared for a game against Corban, despite needing just 1 win to secure the playoffs. In the opener Irene Barrantes managed the lone score on a homerun, while the team made multiple base running mistakes on offense that would have added some insurance to the 1-to-1 pitchers duel entering the bottom of the 6th inning. The bottom of the 6th found errors by the defense in the field and 2 more runs off the Warriors bats giving them a lead 3-to-1. The top of the 7th inning had SOU batter’s going down in order to give Corban a win in the opener, with Kurtz taking a tough loss to end the year at 9-to-7. Unfortunately, the last game of the regular season just might have been the team’s worst performance of the year, as the Warriors scored 4 runs in the 1st, 3 in the 2nd and eventually applied the mercy rule in the 6th inning. The offense mustered 2 runs in the 2nd and Barrantes hit another homerun in the 6th to score 3 runs. The post season is not completely out going into the final week of the season, as College of Idaho, Concordia and Corban all have make-up games next week. SOU’s chances are slim and they will need Concordia and College of Idaho to both be dealt losses.